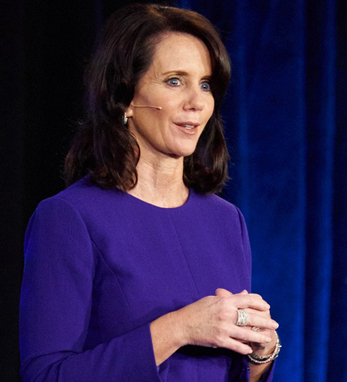 In her role as senior vice president and chief communications officer at Brigham and Women’s Hospital, Erin McDonough leads communication strategy and drives comprehensive communication activities. Under her guidance, the hospital appears in over 50,000 international news stories on an annual basis. Erin, who lives in Boston with her fiancé Jim (her son Gerard lives in L.A.), was profiled in the 2011 book “Boston, Inspirational Women” by Bill and Kerry Brett, which discusses the difference Bostonian women make as leaders at home and abroad. Regarding her leadership, she identifies with a quote by the part-Irish Edward R. Murrow: “to be persuasive we must be believable, to be believed we must be credible, and to be credible we must be truthful.” She holds a B.S. and an M.B.A. from Northeastern University in Boston.